The news that a large fire engulfed the beloved Gothic-age structure, the Notre Dame Cathedral in Paris on April 15th, sent shockwaves around the world. 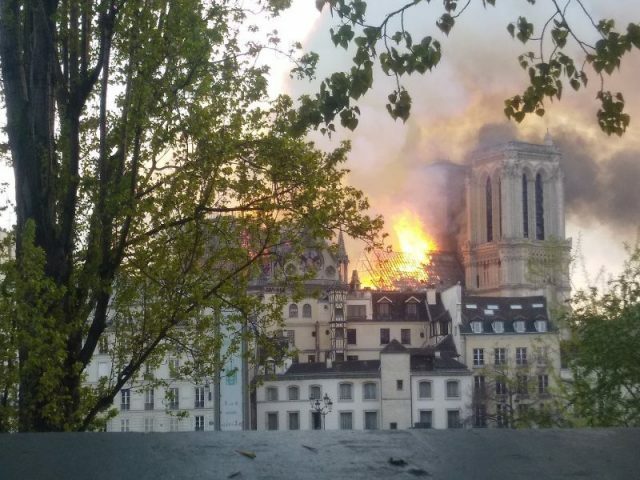 The flames began in the afternoon hours and shortly after caused the cathedral’s prominent spire to collapse. The fire continued to burn for hours and further ravaged the ribbed roof of the cathedral, constructed from large oak beams some of which dated to the 13th century. Hundreds of firefighters risked their lives in their attempt to save the iconic site. At the end of the day, it was confirmed that the cathedral’s overall structure and its two towers were saved; or in the words of French President Emmanuel Macron who was also present on the scene, “the worst had been avoided.” One firefighter was seriously injured, though no other casualties were reported. What caused the fire has not been made immediately clear yet. According to reports, restoration work that was set in place on the site may have been the reason for the hazard. Already on Tuesday, April 16th, police began investigations, conducting interviews with construction workers who were hired for the cathedral’s renovation efforts before the fire. As Notre Dame was burning, the city of Paris went on stand by. Thousands of Parisians gathered by the river Seine and watched the blaze in tears and disbelief. In comments for media outlets, most onlookers described the scene as utterly devastating. During the blaze the French national anthem was being sung, as well as some people praying. 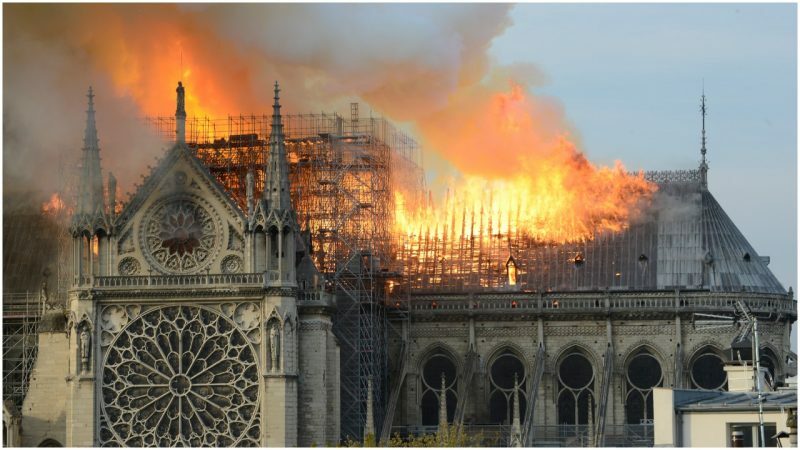 The fierce blaze that rapidly advanced did not only diminish one of the finest examples of Gothic architecture in Europe and the world but threatened 850 years of history. Notre Dame has stood as a symbol of Paris, of Catholicism, of France, Europe and civilization. 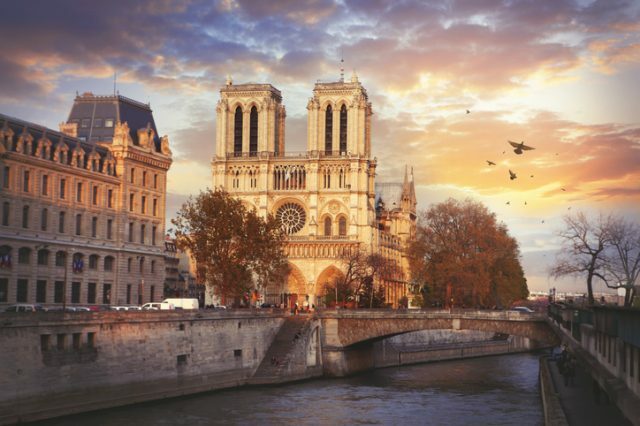 Construction work on the medieval Catholic cathedral began in 1160 on Île de la Cité, a small island on the Seine, and was nearly completed some hundred years later. Ever since the 13th-century, it has been the site of important happenings, including the coronation of English monarch, Henry VI of England and Napoleon Bonaparte in 1804. 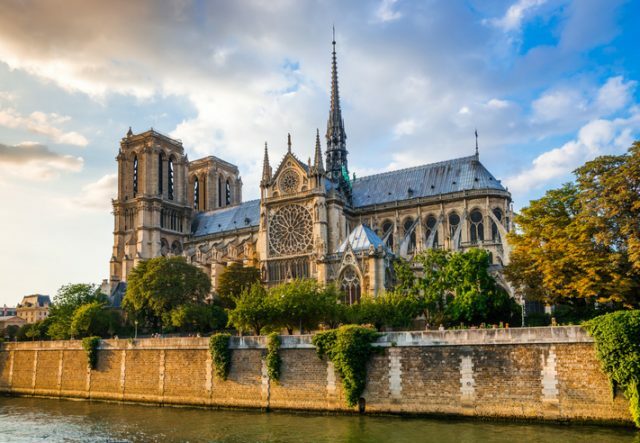 The cathedral has endured over the centuries, through the French revolution and through great neglect that had left Notre Dame in a half-ruinous state at the beginning of the 19th century. 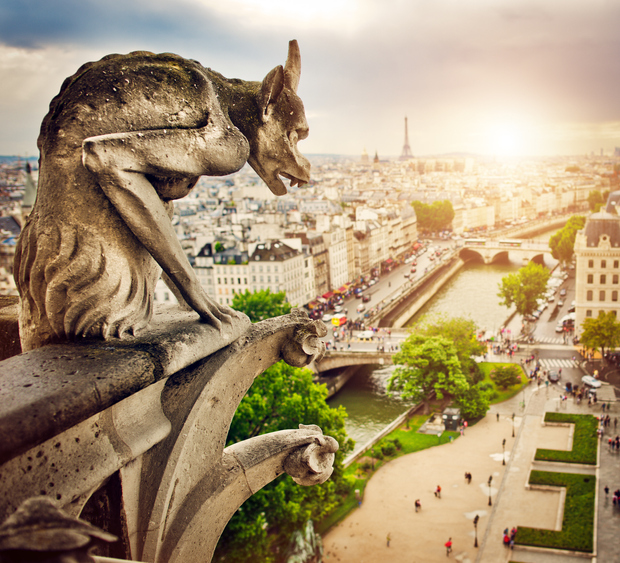 Interest in the site had surged following Victor Hugo’s publication of The Hunchback of Notre-Dame, after which significant reconstruction efforts were arranged by authorities. The cathedral also survived the two world wars that followed in the 20th century, included the Nazi occupation of France. As fire swept through the site on April 15th, one group of firefighters were fighting the fumes and another was commissioned to rescue some of the priceless relics accommodated inside the cathedral. One such item that was fortunately saved was the Holy Crown of Thorns, perhaps the most revered relic kept at the Gothic structure. The piece, kept in a special case of rock crystal, is believed to be the original crown of thorns, that stood on the head of Jesus during his crucifixion. This sacred religious artifact originates from Jerusalem and was acquired by King Louis IX in 1238. A tunic that belonged to the same king, and who was, in fact, the only French king to be canonized as Saint Louis by the church in 1297, was also spared from the fire. King Louis had lost his life in the Eighth Crusade some three decades before he was canonized. The cathedral’s iconic Great Organ and one of the most treasured musical instruments in the world has also remained intact, though it most likely suffered damage from water. The 8000-pipe organ is dated from 1403; it has been refurbished over the centuries, but some of its parts are authentic, dated to the Middle Ages. The North Rose Window, which is one of the cathedral’s colossal and remarkable stained glass windows survived through the horrendous event too. But the fire likely took its toll on other remarkable features and items, the details of which have yet to be fully revealed. 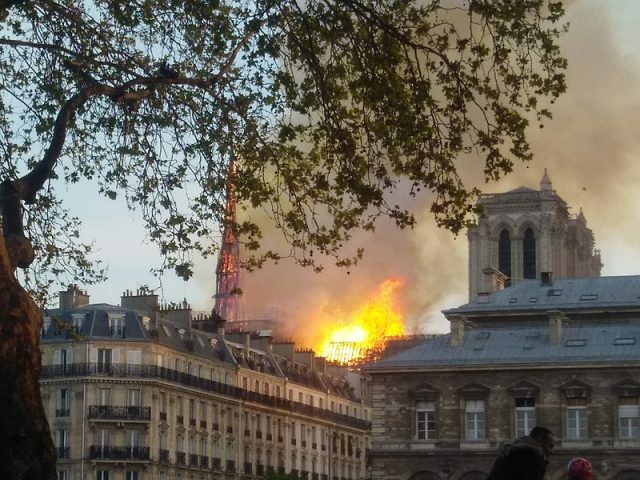 President Macron said in statements that he was “sad to see this part of us burn,” after which he also vowed to rebuild the cathedral. François Pinault and Bernard Arnault, two eminent French billionaires, have already pledged sums of millions to restore Notre Dame. Each year the monumental site has welcomed approximately 13 million visitors, second only to the Eiffel Tower. Experts are due to assess the damage inflicted on the site both from the fire and the water that fire officers used in response to the emergency.